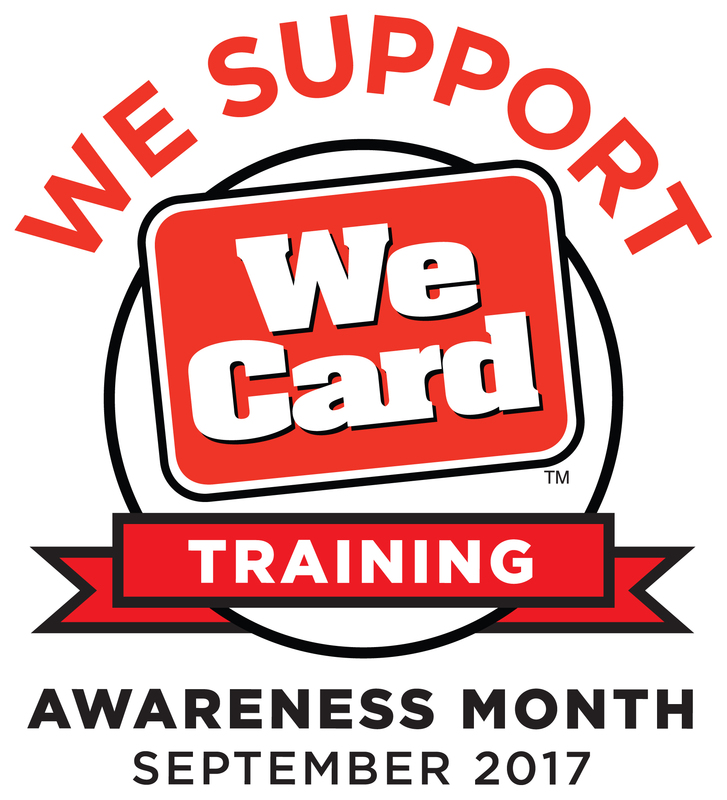 With We Card Awareness Month here, it’s a great time to train or re-train store associates and raise awareness about federal, state, and local regulations on tobacco, e-cigarettes, and vaping products. NGA sits on the board of directors for The We Card Program, Inc., a national non-profit organization whose important mission — which grocers support — represents a cooperative and dedicated national effort among retailers and wholesalers who believe education and training of retail employees will help prevent underage tobacco and age-restricted product sales. Through the organization’s educational and training services, supermarkets are better equipped to: 1) regularly train associates to ask for a valid photo ID, properly calculate the customer’s age and reject underage purchase attempts; 2) request valid photo ID from customers who are under the age of 27; 3) comply with federal regulations and with state and local laws; and 4) following responsible retailing best practices. • We Card’s 2018 materials will be available to order on Sept. 1 by clicking HERE. • We Card’s online training and its mystery shopping service — ID Check-Up, help equip your store employees with the knowledge while you can gauge their performance with mystery shops. • Get an updated state law summary or a Federal Law Summary on FDA regulated products and requirements of retailers. See the Resource Center by clicking HERE. • We Card NOW, a smartphone mobile site with digital resources, an Age Calculator tool, and a digital version of the We Card calendar along with training tips. Visit the website by clicking HERE.